The Royals have the second-best record in baseball, the fourth-best run differential, and lead their division by six-and-a-half games. Barring an incredible disaster, they’re going to the playoffs. But they still didn’t feel like the team was well-positioned, and on Sunday traded Brandon Finnegan, John Lamb, and Cody Reed to the Reds for ace Johnny Cueto. The Royals rotation ranked 11th in ERA last season, and the hope was that youngsters Danny Duffy and Yordano Ventura would improve. Duffy hasn’t come close to touching his 2.53 ERA/1.11 WHIP from last year, and Ventura has been so poor he was sent down to the minors a few days ago, only to be called right back up after starter Jason Vargas was lost for the season. Cueto was the runner-up in Cy Young voting last season, and while he hasn’t been quite as good this year, he’s still been pretty damn good. He was one of the few bright spots on a not-very-good Reds team, and unquestionably becomes the Royals’ ace. And in the playoffs, where rotations are reduced to four pitchers and an ace can go three times in a seven game series, the Royals are much better off with Cueto doing that than Edinson Volquez. The Royals didn’t have to give up the cream of their farm system to acquire Cueto, either. Brandon Finnegan is a left-handed pitcher who was one of the better players in the Royals’ farm system, ranked somewhere between the 50th and 100th best prospect in baseball at the beginning of the season. John Lamb is a lefty starter going on his seventh season in the minors, but he is throwing a 2.67 ERA this year and could develop into a back-of-the-rotation guy. Cody Reed was a second round pick in 2013, and after struggling in his first two seasons in the minors, he’s pitched well in AA. Neither Lamb nor Reed are considered to be in the Royals top ten prospects. Cueto’s contract is up after this season, which is why the Reds were willing to trade him, and why the Royals didn’t have to mortgage the entire farm to acquire him. 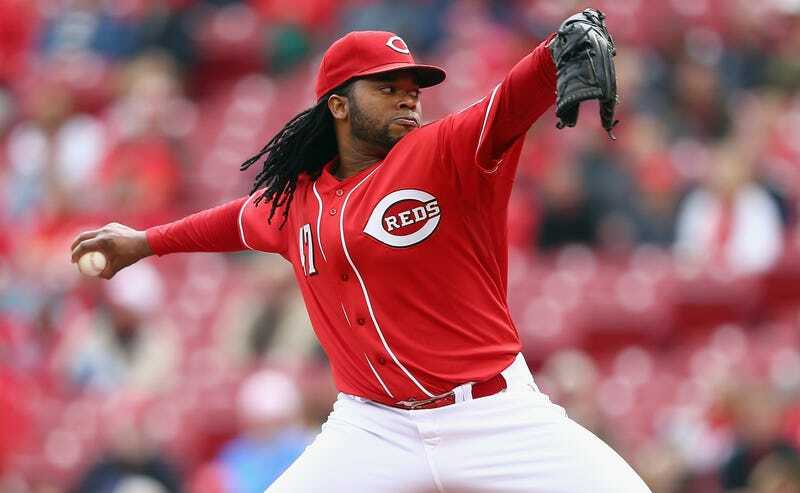 But as far as deadline rentals go, Cueto should be an enormous boost.